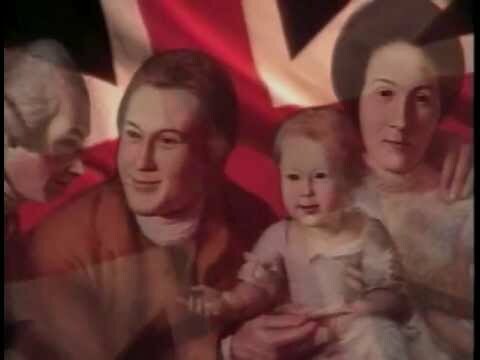 This PBS production is one of the best documentary tellings of the story of the American Revolution ever made. Part of what makes it so powerful is that it extensively employs the technique of weaving the surviving writings of the age into its portrayal of the events. The selections and dramatic presentations of this material—relevant eighteenth century letters, diaries, etc.—are outstanding. At the same time, it’s also well organized. It gives a remarkably clear sense of the order of events of the Revolution and their causal linkages. Other directorial touches, including well-chosen music and subtle camera work, also add much. The net effect is to turn history, which appeals to few, into historic drama, which has a much wider appeal. This series is not just informative. It’s often touching, exciting, inspiring, and full of wonderful details about individuals. Above all it gives a sense of the greatness of the people involved in the Revolution. As told here, the American Revolution, which over time has revolutionized the world, was a very fluid series of events. But for the courage, intelligence, and dedication of a handful of people, it would never have gone where it did. We libertarians are lucky to have such inspiring historical roots to look back upon. “Episode I: The Reluctant Revolutionaries”: As this episode begins, North America is a vast, sparsely populated set of rural colonies. Britain has just spent a great deal of money defending these colonies against the French, and so decides to recoup some of its expense by imposing a few minor taxes. To Parliament’s surprise, the taxes create a firestorm of colonial opposition, so it repeals them. A year later, however, it imposes a new tax. The colonial population responds with riots, a boycott, cruel mob justice for tax supporters, and in Boston—a “Tea Party.” Britain sends troops to Boston, fighting escalates, and finally Britain imposes military rule over all of Massachusetts. Fearing the same treatment for themselves, the other colonies begin to unite. “Episode II: Blows Must Decide”: The King decides to get tough and sends troops into the Massachusetts countryside. They try to seize arms in Concord. The colonial militia turns out, a small skirmish occurs in which colonists are killed, and an infuriated public pours in to attack British troops. Meanwhile, the other colonies form the Continental Congress, which meets and creates an army under George Washington. Thomas Paine begins advocating independence, and more than that, a government of the people, without monarchy. This makes the revolution of world significance. People now start talking about what form this new government might take. Thomas Jefferson writes the Declaration of Independence. The ideas emerging from the Revolution will eventually lead to freedom for women and slaves, and subsequently be invoked in revolutions everywhere. “Episode III: The Times That Try Men’s Souls”: Washington begins forging a national army, but it isn’t professional. It’s made up of adventurers and patriots enlisted on a one-year basis. He must convince these people to fight not for territory or treasure, as in European wars, but for an abstract idea: liberty. The initial battles favor the British. Washington realizes he can’t win traditional big battles, so he changes tactics, making small attacks with quick retreats. His idea is to drag the war out as long as possible, hoping the British will tire of it. The British take New York and New Jersey. Prospects are bleak. The colonial army has no tents and little winter clothing and food. Enlistments are set to expire. Washington risks all in a daring move. He crosses the Delaware River at night and launches a successful attack on Hessian mercenaries. The victory gives the Revolution a psychological boost. “Episode IV: Oh Fatal Ambition!”: Benjamin Franklin goes to France to try to get the French on the American side, but the king rebuffs him, as he isn’t sure the Americans are going to stay the course. Nonetheless, Franklin succeeds in making the Revolution popular with the aristocracy. Meanwhile, the British attack the colonials in two locations. From the sea, they take Philadelphia; but unlike the custom in European wars, seizing the capital is of no significance. Congress simply moves elsewhere. From the north, the British try to take the Hudson River and so cut off New England. They are slowed by New England militias and harried by an armed citizenry. The Americans attack using unconventional tactics. The British troops surrender at Saratoga. The French king is impressed and agrees to see Franklin, who secures French support. The British now face the possibility of a world war that may touch their own soil. “Episode V: The World Turned Upside Down”: Stalemated in the North, the British attack the South. The entire colonial southern army is defeated, but the British really only control the cities. To gain control of the countryside, Britain puts Loyalists in charge, most of whom are lower class recent immigrants. The countryside erupts into civil war with atrocities unimaginable to the British. Washington sends in General Greene, who draws the British into a meandering chase that wears them down and undermines support for them. France is now supplying everything for the colonial war effort. French troops and volunteers arrive. The French and Americans converge on the British at Yorktown in a classic siege. The British troops surrender. British popular opinion turns against the war. The war ends and the American army breaks up. “Episode VI: Are We To Be A Nation?”: Washington resigns. He is effectively offered kingship but turns it down. His renunciation of power is unprecedented. Artists and writers give voice to a growing sense of American nationalism. At the same time, problems begin to occur that the loose confederation of states cannot address. The Founders meet to create a new form of government. There is intense debate between them. Intellectual battle lines are drawn between the Federalists, who favor central power, and the anti-Federalists, who are suspicious of that power. In the end, the Federalists overcome most objections, but the anti-Federalists demand and get the Bill of Rights. A new constitution emerges with an extensive system of checks and balances and it is ratified. The U.S. becomes a new nation, the first to be based on ideology.